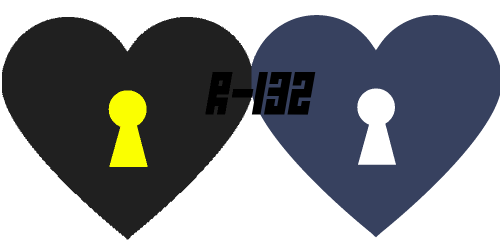 In the world of R-132, there are 9 Elements. Corresponding to these 9 Elements are 9 Great Beasts, 9 Ancestors, and 9 Ancient Families descended from those Ancestors. People born in the world of R-132 are born with one of these nine Elements, which shape their lives from then onward. While certain personality types and combat styles are generally associated with certain Elements, these don’t apply to everyone. Whether you’re here for reference while reading R-132 or to imagine where you might fall if born in the world of R-132, feel free to read on. Light Spectrum users flourish in bright, hot environments. They’re also typically faster, all-around, than their counterparts. The Light Spectrum elements themselves are comprised of Light, Lightning, and Fire. Light. Personality types seek control over themselves and others. Combat style fixates around speed and repeated attacks to break down enemies gradually. Have great evasive capabilities, but low durability to compensate. Associated with the brain. Lightning. Personality types seek complete freedom, sometimes to the point of outright anarchy. Combat style fixates around speed (marginally slower than Light) with incredibly powerful blows. Their attacks, while devastating, drain huge amounts of stamina for most and their evasive capabilities aren’t great. Better durability than Light users. Associated with the eyes. Fire. Personality types seek passion, excitement and personal fulfillment. Combat style fixates around large, area-of-effect attacks and hard-hitting close range fire volleys. While faster than non-Light spectrum users, however, their durability is the weakest of the bunch, especially when confronted with Dark-spectrum elements, like Water. Associated with the mouth. Base Element Affinities are significantly rarer than Light or Dark Spectrum Affinities and flourish in more neutral climates. The Base Elements themselves, however, are the most powerful of them all, tied to life and healing, death and rebirth. Wind. Personality types seek a more reasonable balance between freedom and discipline. Combat style centers around evasive techniques combined with great, wind-based attacks to create space and control movement. Tied closely to life energy and healing magic. Associated with the lungs. Earth. Personality types are firm and unyielding, no matter where their convictions lie. Combat style evenly balances speed and power, while boasting great durability and low evasive capabilities. However, their lack of specialization can be a downside against Light or Darkness users. Associated with the limbs. Gravity. Personality types seek leadership and well-rounded company. Combat style focuses on the manipulation of an opponent’s mobility through gravity manipulation, which can make even the fastest Light user move at a snail’s pace. The counter-balance to Wind, associated most strongly with death and rebirth. Associated with the stomach. Dark Spectrum users flourish in dark, cool environments. They are typically slower, but stronger than their peers. The Dark Spectrum Elements include Water, Ice and Darkness. Water. Personality types seek to follow strong leaders and enjoy working with a team. Combat style focuses on high-evasion combined with team-work oriented water abilities that greatly enhance the capabilities of Lightning and Ice types. Can really only fight directly against Fire types in one-on-one engagements. Associated with blood. Ice. Personality types seek leadership, but often work at a distance. Combat style focuses on immobilizing opponents and either skewering or outright shattering them. Have great stamina and defensive capabilities, but are fairly slow when it comes to offensive capabilities. Associated with the spine. Darkness. Personality types seek self-realization through family and friends, and often fall to apathy or disarray when these needs are not met. Combat style is generally slow, but with incredibly high durability and attack power. However, Darkness users have access to a variety of techniques to compensate for their general lack of mobility, including illusions at a low-level, and intangibility/teleportation at a high level. Associated with the heart. Click here to start reading R-132.